Safely convert and increase your car cigarette lighter from one to two sockets. 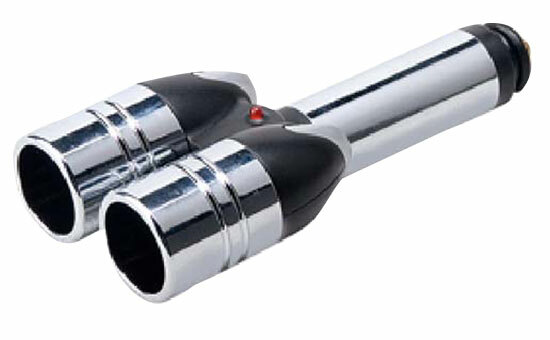 Powers two 12 volt electronic items with slick chrome shafted design. Use to power cell-phones, chargers, i-Pods, and other electronics.